33 Jurgens Street, Woolloongabba is being offered for sale by CBRE’s Mike Walsh and Peter Court and Cushman & Wakefield’s Nick Spiro and Andrew Gard. 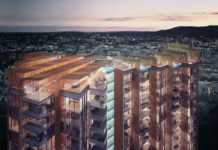 The 6,450 sqm site is DA approved for a two tower scheme by multi-award winning architecture firm Conrad Gargett. The stageable, two-tower scheme consists of 435 apartments and 655 sqm of prime ground floor retail. 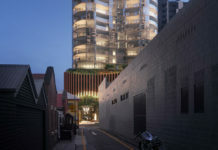 The retail component of scheme is a key drawcard for the development, offering the ability to add to the significant retail amenity of the nearby Logan Road Restaurant Precinct. The site’s location will function as a key demand driver among apartment buyers. Immediate access to the Logan Road Restaurant (20 metres*) and ‘The Gabba’ stadium (100 metres*) promises a lifestyle that will rank among Brisbane’s very best. Moreover, the site’s proximity to the Brisbane CBD (2 kilometres*), as well as the presence of a number of key health and education providers within the immediate vicinity, will ensure the project appeals to a wide range of end users. View corridors to the Brisbane CBD will also capture the interest of apartment buyers. Critically, these views will be preserved into the future, courtesy of the position and planning context of the surrounding development. As far as building economies are concerned, the site’s topography lends itself to an efficient basement build with minimal excavation. Furthermore, the purchaser will have the option of securing the site under vacant possession or retaining the two showrooms and office/warehouse facility to generate valuable holding income for up to three years. 33 Jurgens Street, Woolloongabba is available for purchase via Expression of Interest closing 4 p.m. (AEST) Thursday, 28th of April, 2016. For more information regarding this development opportunity, please contact the exclusive marketing agents.